You don’t always have the time or budget to jet off to the latest conference to hear thought leaders share their insights – the kind that can truly transform your marketing efforts. But there’s a way to tap into the first-hand intelligence of the visionaries watching this evolving industry, and you can do it right from your desk, tablet or smartphone when you follow LinkedIn Influencers. Once you follow them, you’ll benefit from their advice and insight as their posts appear right on your homepage. To get you started, here are 10 Influencers in marketing to follow right now – together, they’ll keep you on top of the freshest ideas for effective marketing. Beth Comstock: CMO at GE. Check out Beth’s perspectives on TV’s “MacGyver” as a model for business innovation, and her personal stories on the “leaning in” trend. You’ll also find her thoughts on business innovation, creativity, and leadership challenges. Jonathan Becher: CMO at SAP. Read his argument for tapping into “market voices” and not just the voice of the customer, and follow him for insights on marketing strategy and leadership. Nicolas Bordas: VP of TBWA/Europe. Read Nicolas’ crystal ball-gazing “what if?” articles on everything from “Gangnam Style” to analog technology and follow him for more insider views on branding and digital innovation. David Edelman: Partner at McKinsey & Company specializing in digital marketing. Read David’s thoughts on why marketing needs to speak the language of the C-suite, and why Africa’s consumer market is getting ready to explode. Also, follow David to learn more about social media, big data and analytics, and consumer research. 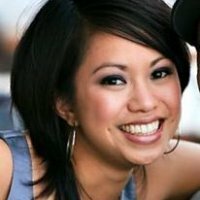 Charlene Li: Founder and partner at Altimeter Group. Read Charlene’s suggestions on the value of evaluating your career every year and a half, and why you need to get all your employees on social media. Follow her to read more about interactive media and social business strategies. Josh Leibowitz: Partner at McKinsey & Company specializing in travel and retail. Find out what Josh has to say about the big mistakes that retailers make online, and China’s moves into the luxury car market. Follow him for more ideas on online retail and innovation. Don Peppers: Author and co-founder of Peppers & Rogers Group. Discover Don’s perspectives on making the most of your employee’s social graphs, and the importance of being “trustable.” Follow Don for more insights on careers, marketing strategy, and social media. Fred Reichheld: Consultant for Bain & Company and creator of the Net Promoter Score. Fred weighs in on topics such as why banks want consumers to stay away from their branches, and how to close the loop on consumer feedback. Follow Fred to find out more about customer satisfaction and consumer research. Steve Rubel: Chief content strategist at Edelman. Read Steve’s advice about boosting your creativity and tips on tweeting. Follow Steve for more of his insights on online content strategy and social media. David Sable: CEO of Y&R Advertising. Explore David’s posts on the missteps companies make with their mobile strategies, and why Marissa Mayer is right about requiring workers to be in the office. Follow David for more posts on social media, advertising, and technology. Think of these marketing influencers as your new expert advisors when it comes to staying current on marketing trends. Once you follow them, you’ll see their new posts on your LinkedIn homepage. To see other thought leaders you can follow, visit the LinkedIn Influencers page. Editor's Note: This article was originally published to the LinkedIn Marketing Solutions blog on April 17, 2013.